Many homeowners are beginning preparations to list their home for sale in time to capture the interest of springtime and summertime buyers and one of the most common to-do item prior to listing is to repaint interior rooms. It’s a fast, easy and inexpensive way to make your home look updated, clean and fresh, and most homeowners are confident enough to do the work themselves, but aren’t sure about color selections. 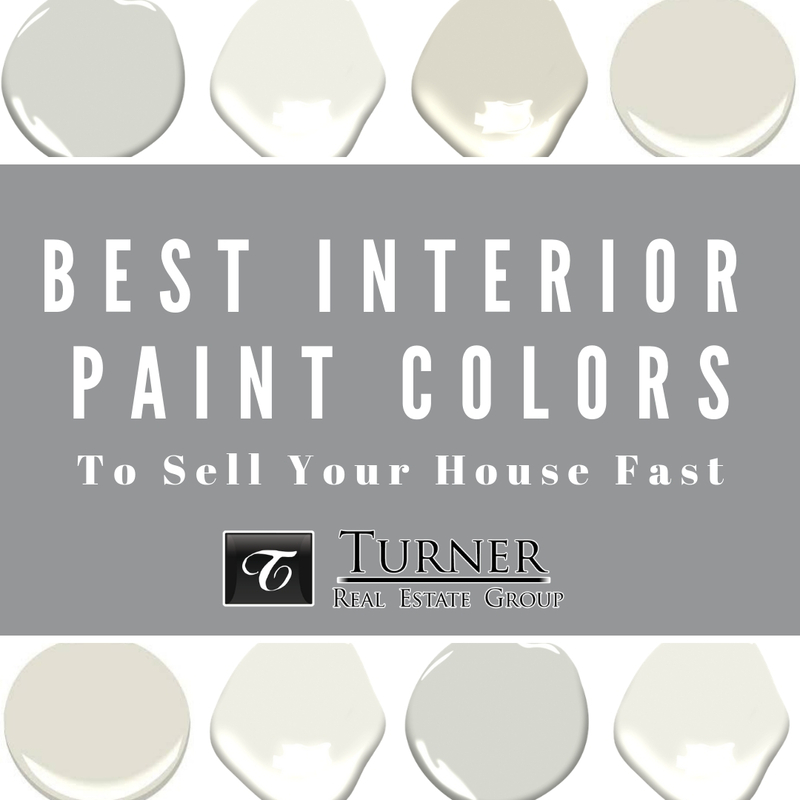 So, I am here to tell you what the best interior paint colors to get your home sold fast are. 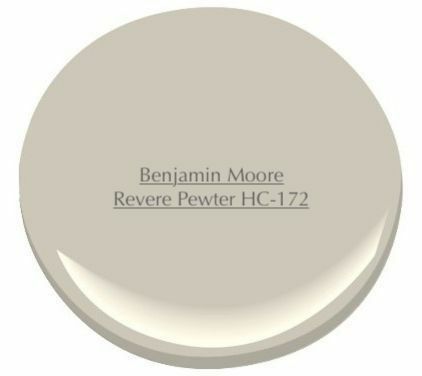 All of my selections are from Benjamin Moore Paints and Sherwin Williams because they are widely available in our market, preferred by most local interior house painters and, probably most important of all, they have some really beautiful colors to choose from. WHOA… by this point you are probably asking, what gives this chick the idea that she knows what paint colors people want and like. I did not scour the internet and Pinterest to pluck these colors from famous designers blogs, I have personally used all of the colors that I am recommending here, either in my personal home, a clients home, or in the home of friends or family based on my recommendations. So, I have real life experience using these colors, which is really important because colors can look totally different from a computer screen to your wall. Which brings me to one last point before we get to the good stuff. 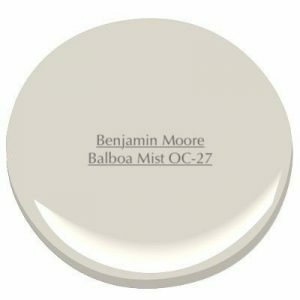 Before you select one of these colors and buy gallons of paint, I strongly urge you to choose your top 2-3 favorites, purchase samples and paint 2-3 coats on a piece of white poster board. Then you can move the painted poster board pieces around the house to determine which color works best for your home. And remember, if you are still having trouble selecting a color for your home, call us and we will help you pick what will work best before we list it. Benjamin Moore Balboa Mist- This is one of my favorite neutral gray colors. It doesn’t scream gray, but it’s current, it’s fresh, and it will work with almost any decor. This is a good choice for any room in the house. 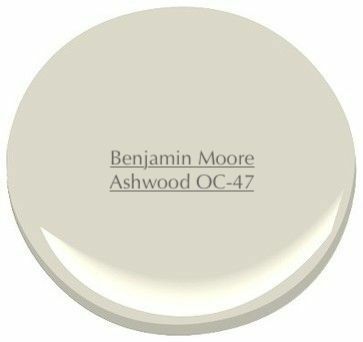 In fact, I recommended this color to my brother when he purchased a new condo and it worked beautifully. It’s a true warm gray. 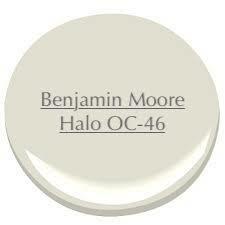 Benjamin Moore Halo- This is a great neutral that has slight green undertones. This a great option for someone who really wants a color on the wall, but still needs to keep it neutral to appeal to a larger group of people. 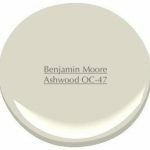 Benjamin Moore Ashwood- This is very similar to Benjamin Moore Halo, in fact they are right next to each other on the color wheel. I painted a living room in a cottage style home this color once and it turned out beautiful. 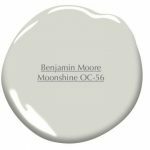 Benjamin Moore Moonshine- This is quite possibly my favorite gray paint color of all time. 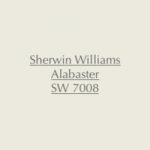 Not only is it a cool name (not how I recommend choosing a paint color), it is such a perfectly warm and calming color. It’s perfect for a bedroom or bathroom. One of my top choices. 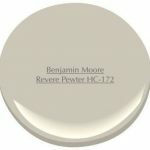 Benjamin Moore Revere Pewter- This might be the most popular color from Benjamin Moore right now. It’s a darker neutral greige (grey + beige) than the other colors I’ve mentioned so far, and I think it works best in a bedroom. 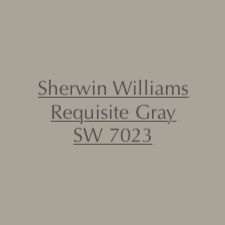 Sherwin Williams Requisite Gray- Sherwin Williams has some really beautiful greige (grey + beige) colors. This one is a very warm color that will work in just about any room of the house. 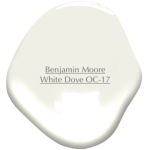 Benjamin Moore White Dove- This is a very popular color to use on trim (crown molding, doors, baseboards, even cabinets) as well as walls. This is a very warm white that doesn’t show yellow undertones, which is very appealing to most buyers. 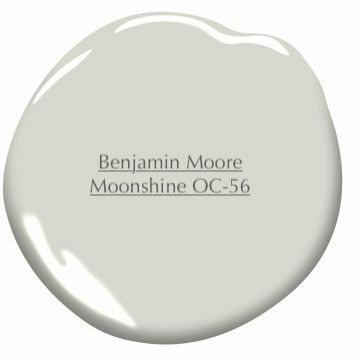 Benjamin Moore Simply White- This color is exactly as it sounds. It reads a true white and is great to use on trim and doors. With the right lighting it can be beautiful on walls as well. 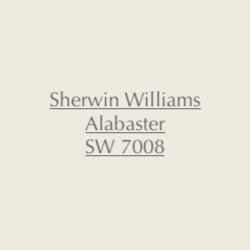 Sherwin Williams Alabaster- I know, I know… this reads as a tan color on your computer screen, but trust me when I say this is absolutely Sherwin Williams most perfect warm white for whatever you are wanting to paint white. 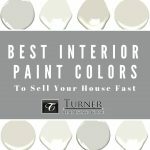 So, those are my top choices for neutral interior paint colors to help sell your house fast. Do you have a favorite color that I didn’t include? If so, please share it in the comments.